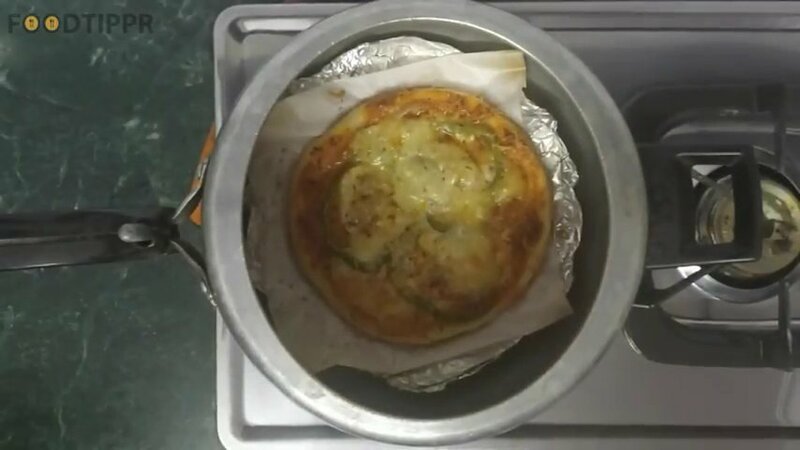 Check out the delicious recipe of Pizza, and what’s unique about this Pizza is that it is cooked in a pressure cooker. 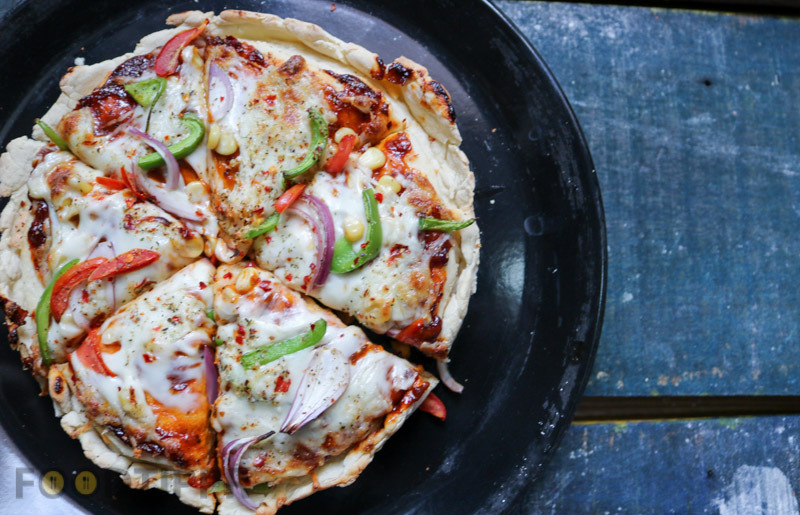 Now you really don’t need an Oven to bake pizza at Home, neither do you have to go out. 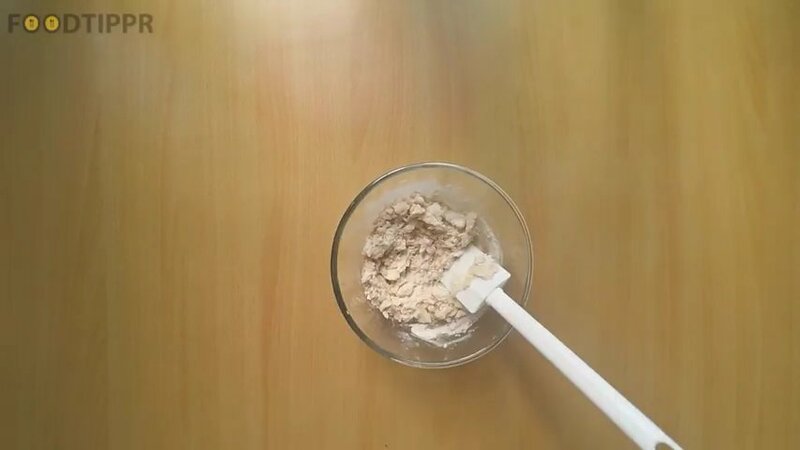 In a small bowl, add Luke-warm water, yeast and sugar, Cover and keep it aside for 10-15 minutes till the yeast activates. 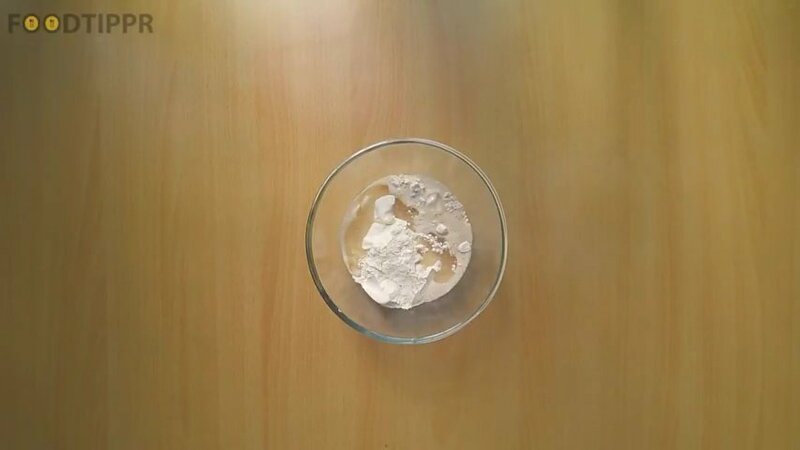 In a mixing bowl, add all purpose flour, yeast mixture, vegetable oil, and salt. Mix it well. Add water and knead the flour well to make a stiff dough. 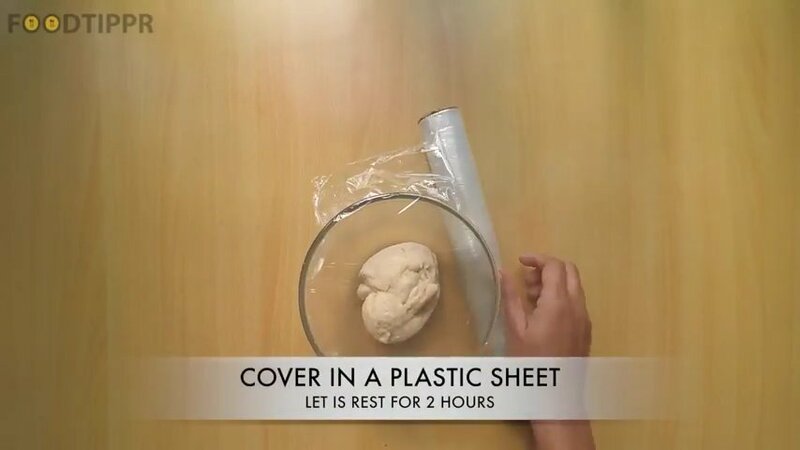 Cover in a plastic sheet and keep it aside for 2-3 hours or till the dough gets double in size. Now the dough is ready, Remove sheets and knead well for 1 minute. 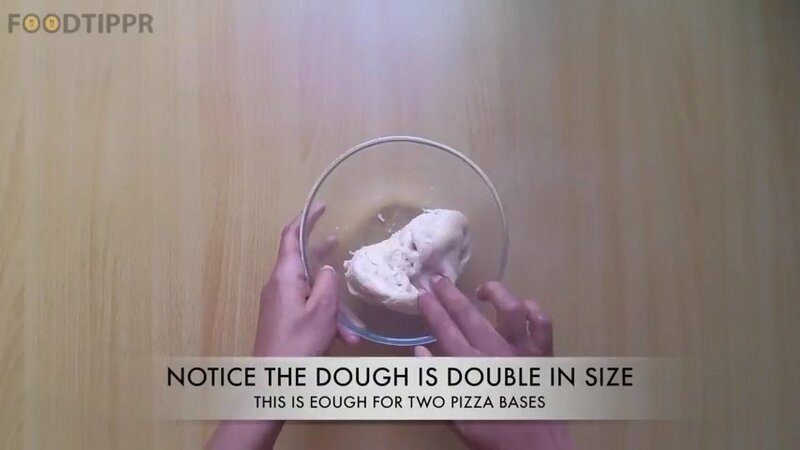 Divide the dough into 2-3 equal portions. 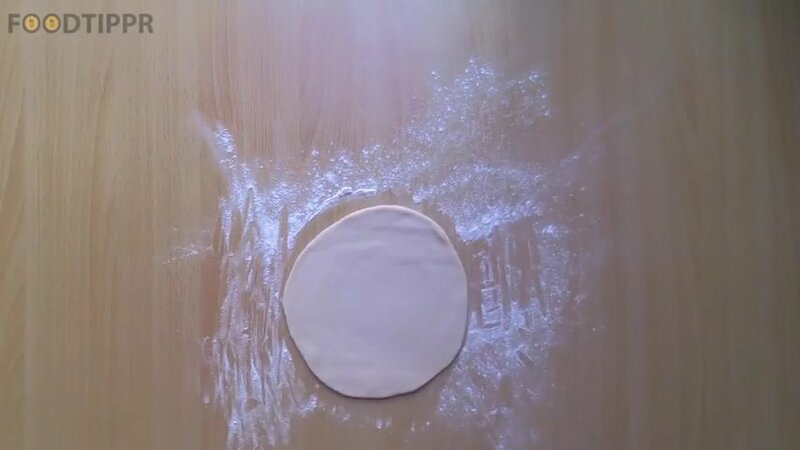 Take one portion of the dough, dust with flour and roll it into a circle of 8-9 inches in diameter. 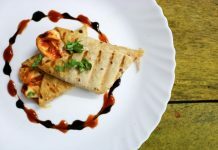 Put the rolled dough on a butter paper and make fold it on the sides. 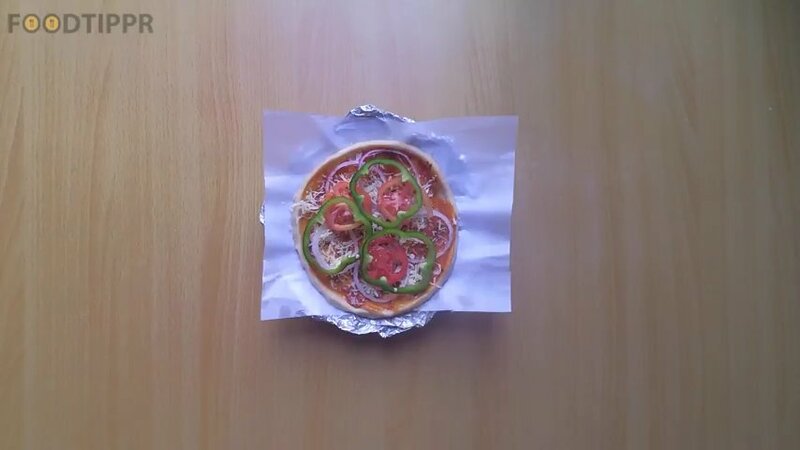 Spread pizza sauce on it. 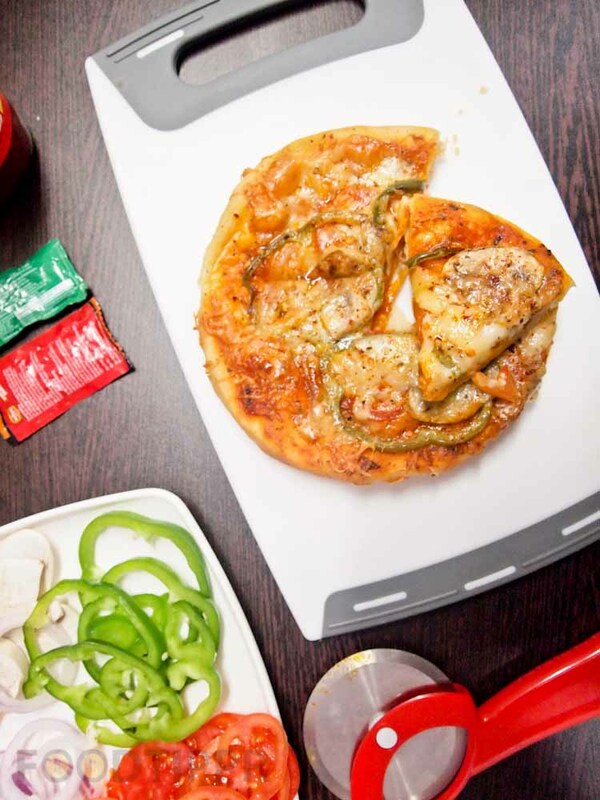 Spread some grated mozzarella cheese, and put onion, capsicum , mushroom and tomato slices. Now put mozzarella cubes, some more grated cheese, oregano herbs and chili flakes. 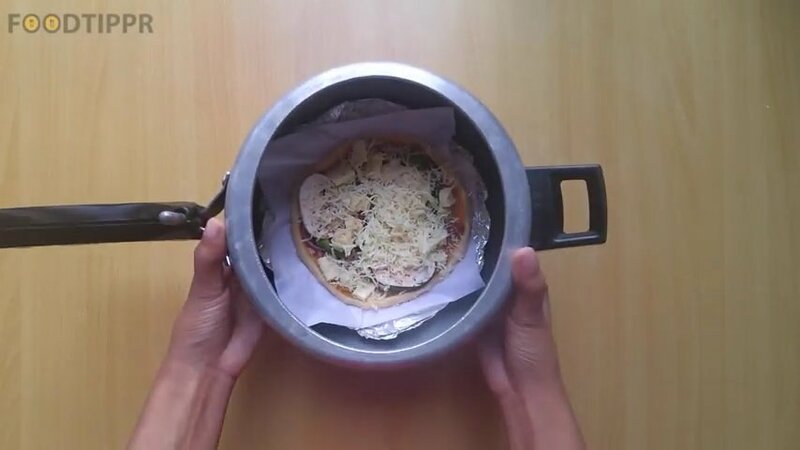 Put a small stand in the cooker and put the pizza on it. Remove whistle and close the cooker. 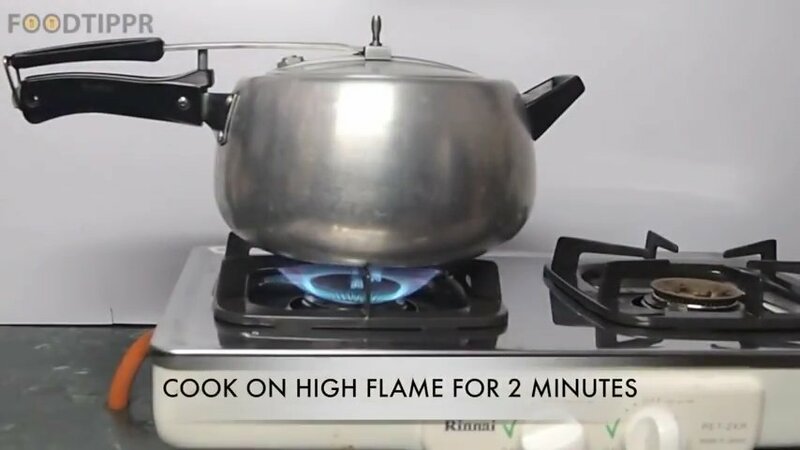 Cook it on a high flame for 3-4 minutes, then keep the flame low and cook for 8-10 minutes. 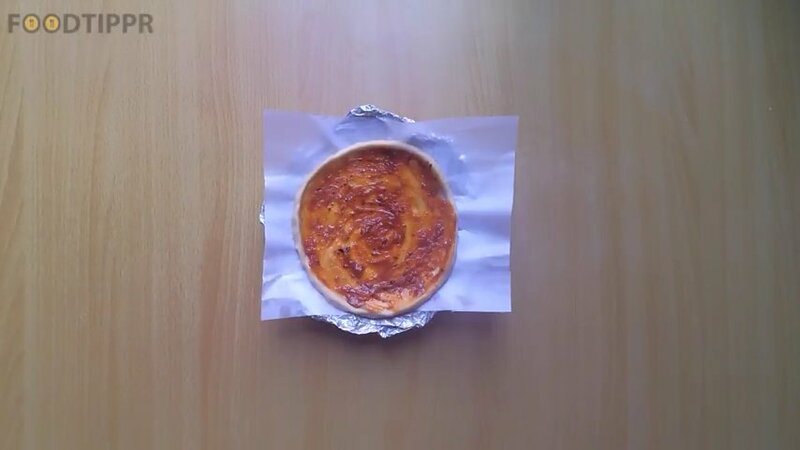 Open and cut into a shape. 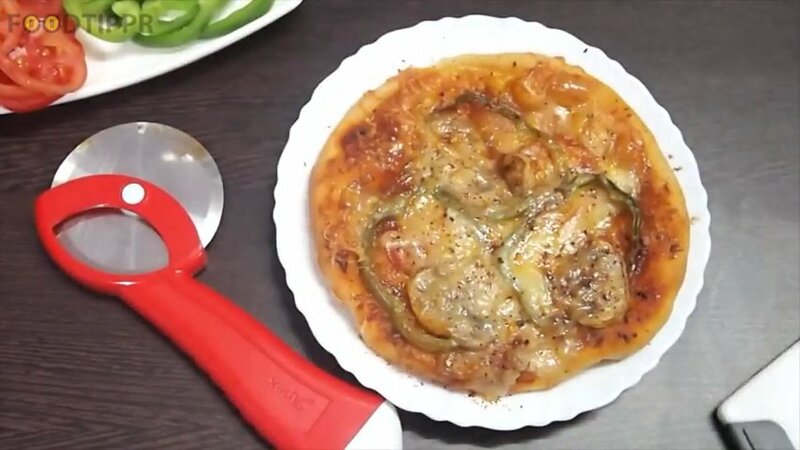 Delicious homemade pressure-cooker pizza is ready to serve. 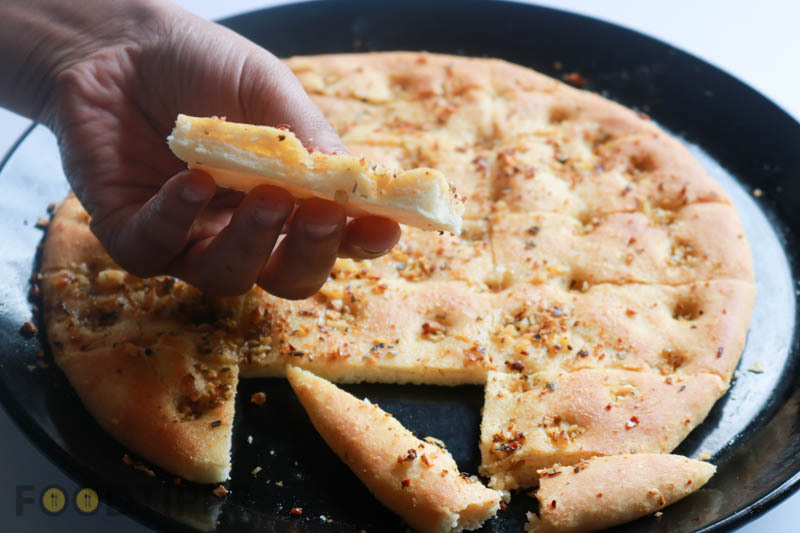 Because you can now bake yourself the delicious Pizza you’ll ever have. 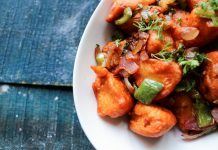 I guess you already have got a pressure cooker in your kitchen. Check out the ingredients and get started. Do let us know how it turned out. 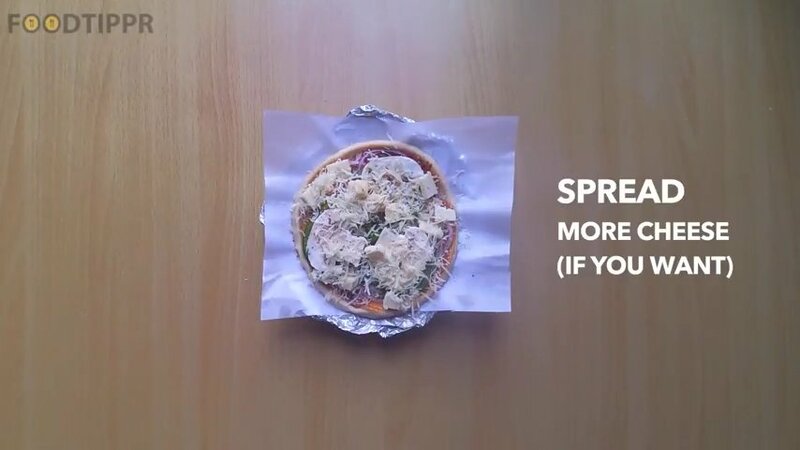 Also, alternatively watch the video of the preparation of this Pizza in Pressure Cooker recipe. I am sure you are gong to love it. 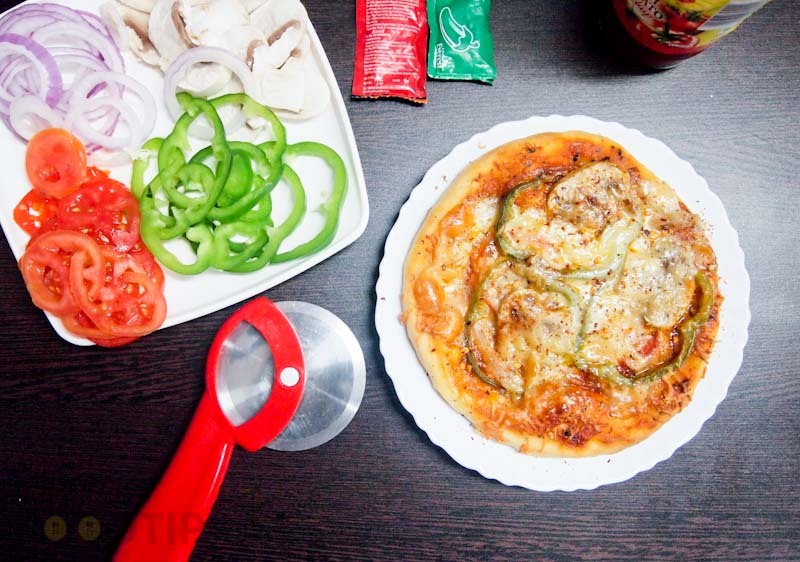 Spread some grated mozzarella cheese, and put onion, capsicum, mushroom and tomato slices. Now put mozzarella cubes, some more grated cheese, oregano herbs, and chili flakes.